Houston’s Got Bollywood… and How! Added by Indo American News on April 12, 2018. HOUSTON: Moksh Community Arts & Naach Houston spring into the outdoor season with a brand new production, celebrating the global spirit of Bollywood Dance Theater in this spectacular presentation of “Houston’s Got Bollywood – titled “ The Great Indian Wedding” conceived and directed by dance maestro Mahesh Mahbubani. The show starts at sharp 8.15 pm on April 14 at the one & only Miller Outdoor Theater. The Indian wedding has forever been a matter of fascination to the world – the fact that the event takes place over five days and involves extended family members and neighbors never ceases to amaze the onlookers. 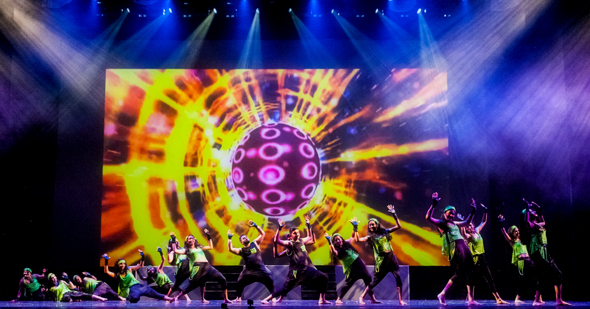 Houston’s Got Bollywood creatively brings this magic to the Miller Outdoor theater stage – we invite you to come and share the celebration of the human spirit. Dressed in extravagant costumes, innovative choreography, dynamic dancers and breath taking visuals, the show is woven together in a true Bollywood theatrical style. Act 1, On The Radio – a showcase of dances from different eras of Bollywood films. Act 2 ‘Around the World- dedicated to an international audience passionate about Bollywood –includes diverse genres in music and dance. Act 3, unique in its own sense is titled ‘Sufianna’ inspired by Sufi poems of love, a fundamental ingredient for any relationship. The finale, Act 4 is The Grand Indian wedding itself – a creative interpretation of the various ceremonies in an Indian wedding, celebrating the union of two souls. 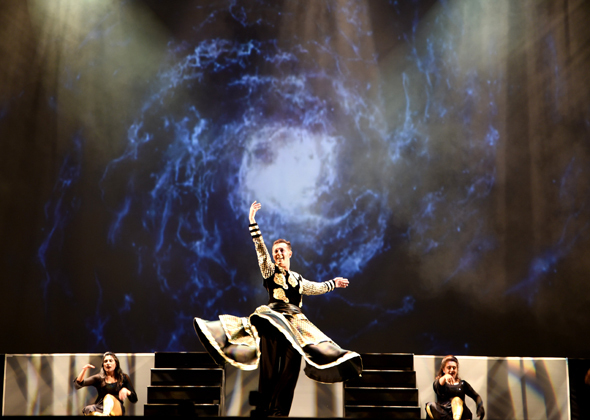 For over a decade Naach Houston has been presenting some of the best Bollywood Theater production Houston has seen. These shows have been proudly conceived and executed by the local talent of Bayou City. Houston has Naach and thus Houston’s Got Bollywood. Moksh Community Arts is a non profit organization created with a vision to make dance an integral part of life for all individuals within the context of community inclusive of all social and cultural backgrounds, providing performance platforms through cross cultural collaborations with Dance, Theatre and music. Moksh Community Arts believes in the philosophy of the transformative power of dance, to integrate the body and mind for total wellness. Through dance we intend to create a holistic experience in every participant and thereby impact the larger community. This performance funded in part by the city of Houston through the Miller Theatre Advisory Board.